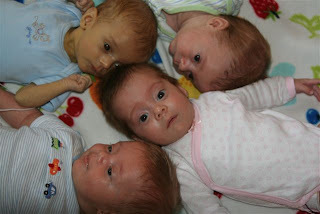 Goerlich Quadruplets: Noah's On the Up and Up! We've been biting our nails, pacing the floor, just frantically awaiting today's appointment for Noah. Last week we went to the GI/Liver Specialist it was grim and grim. Most babies should gain 150 - 200 grams a week and our little Noah had lost 25 grams for the week - putting him at 6 lbs 7 oz. On top of that, his billirubin count had gone up. So last week we went up to 27 calorie formula and doubled his Liver medication. Today Chris took Noah in and he gained a whopping 800 grams! Now, he and I both think the scale was a bit amiss or he was moving a bit too much becuase the pedi's office had him at 6lbs 12 oz yesterday and the specialist's office had him at 7lbs 9 oz today. Still, on either scale the boy is on the up and up with his weight gain! They drew blood to check his billirubin levels and we should see the good results later today. You know you've been in the hospital too long when you don't fuss with shots but wail with a diaper change - something's just wrong about that. Still, this news is a huge answer to prayer!! The crying game is getting a little better this week. The babies are able to calm themselves down a little more quickly, it seems. Though, as I am writing this Sophia has awakened and is sobbing for help. :) I usually peek in to be sure she's not stuck in an awkward position or has an unwanted hand in her face. If all is well, I let her work it out for a few minutes and she'll put herself back to sleep. Noah is getting a lot better as well. He used to cry and cry when we would put him down for a nap. Surprisingly, now that he is on the four hour schedule and getting more rest between feeds, he seems to be more content to go down and sleep more. The days are so much more pleasant. We still have the proverbial question when it comes time for the 2am feed and they are still sleeping - I think they'll make it through the night; should we let them sleep or wake them up? Inevitably, one of them will wake up and answer the question for us. We plan on doing a "Christmas drill" this week to see if we can get everthing packed and babies in the car in record time before the Holidays and festivities. As you can tell, we are getting a little more brave by venturing out of the house with the babies, whether it be for walks or to run errands. This is making things a little more fun and satisfies our quest for things to be "normal". The challenge comes with trying not to mess up their schedule - do we go for a walk during their waketime or during their sleeptime? Chris was so excited to "christen" Cohen and Sophia at the beach last weekend. The beach is in his blood, especially since he is BOI (born on the island for those not in the know); and as his pepa says, "He's got sand between his toes". Wow--you guys are amazing! I could barely make it thru the day with one newborn, let alone 4! Andrew & Alex are loving the pictures (as am I) and can't wait until the babies are old enough to visit! See you tonight! What a beautiful post - and praise God for Noah's weight gain. I loved all the pictures - and love the one of your family at the beach - what a beautiful family you all are. It sounds as if you both are getting more comfortable dealing with all of this - and the babies definately pick up on the parent's feelings and emotions. But that said, as you know, there will still be hectic and exhausting days. You guys are doing great and the babies look beautiful! I'm so happy to hear that Noah is gaining weight and doing better. I bet that is a huge relief! I love the picture with the six of you at the beach. Mari - you look so beautiful! Also Mari, I know you just had a BIG Birthday so Happy Belated Birthday to you!! You guys take care and I'll be thinking of you. Do you know what RSV is, and that you are in prime season? What a joy to see all the pictures and to see how you continue to know that God is with you wherever you go and whatever you are doing. Looks very busy and fun! 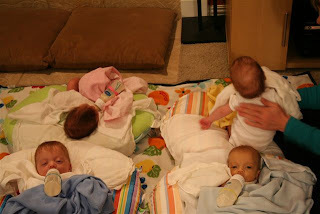 I can't wait to see them - so needed or not I am on the schedule for Friday and plan on spoiling some babies!! What a gorgeous family! I love the family shot. Glad to hear that Noah's on the "up and up"! Mari, these are such sweet pictures! I hope you guys are having a good time at the grandparents. Oh, I guess it's a good thing the kiddos are getting those shots for RSV! See you soon. God Bless. I have been reading your blog for a few months now, and I am just amazed at how well you are all doing! Your babies are so breathtaking! I love your pictures! So glad to hear that Noah is doing better! Our littlest guy had liver problems too, but once they got his meds all lined out, he got much better. He's still our tiniest, he's about 14lbs while his brother and sister are around 17lbs, but he's doing great! I love your boppy pictures! We still feed our babies like that. ;o) I don't know how a MOM's could live without Boppy's!! 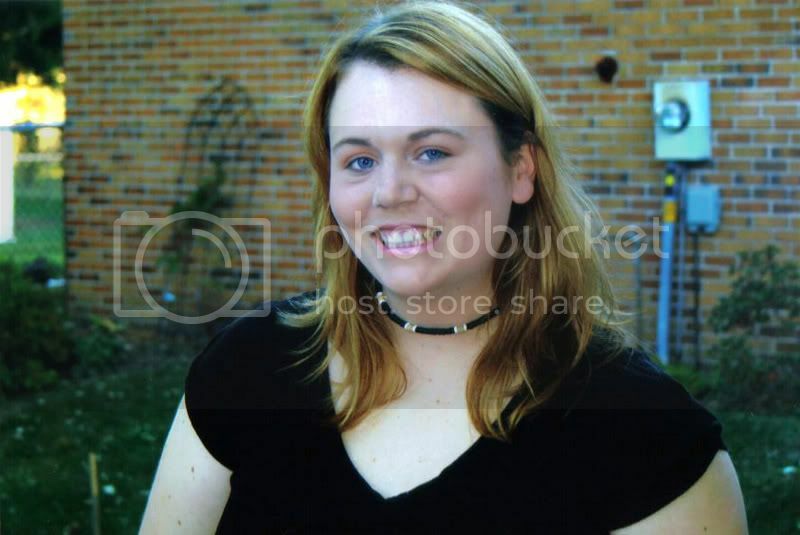 I love these pictures!!! Thank you for the update, you are always in my prayers but blogs are so great and encourage me with the good news. I hope you realize what a true blessing your family is. 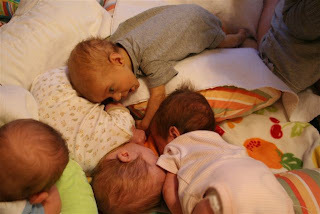 You are giving these babies such a gift by journaling these months of their life. I can only imagine the smiles/giggles they will get on reading this later in life. Ya'll are awesome! happy holidays! and give those babies kisses from the steece quads! we will for SURE meet you guys one day! we miss houston & our friends like crazy and will be making a trip as soon as we can!! I love how Sophia is sunning herself at the beach - and the boys are all conked out!!!! !